Creative consultations help understand how we make this technology work for your ideas, marketing, product, service or business. Multimedia refers to content that uses a combination of different forms. Typically this contrasts with traditional forms of PRINT MEDIA or any produced material for offline distribution. NOT ANYMORE!!! 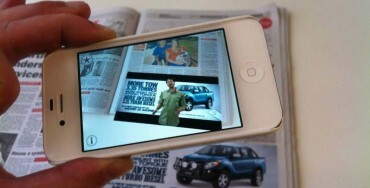 New technology allows us to Augment Reality or digitally alter traditional forms of media, and provide unique layers of digitized information. Doing so creates an amazing display of real time information for any user viewing the media with a smart device. Multimedia production and Augmented Reality allows these layers to NOW include a combinations of: Text, Audio, Still images, Animation, Video, Interactive content forms, Hyperlinks, and Social Media interaction. What would you like to Augment today? Almost any object can be mapped and augmented. Almost any environment can be mapped and augmented.